Feel the grooves of HBO’s new forthcoming series, “Vinyl,” executive produced by the acclaimed Martin Scorsese as well as The Rolling Stones’ iconic frontman, Mick Jagger — oh, and Terence Winter, Rick Yorn, Victoria Pearman, Emma Tillinger Koskoff, John Melfi, Allen Coulter and George Mastras. Set in 1970s New York, the new drama series follows record label president Richie Finestra (Bobby Cannavale) through the music business of the 1970s as he tries to save his company and his soul without destroying everyone in his path. With a heavy line-up of stars including Olivia Wilde, Ray Romano, Ato Essandoh, Max Casella, P.J. Byrne, J.C. MacKenzie and many more, the 10-episode first season is one to watch. 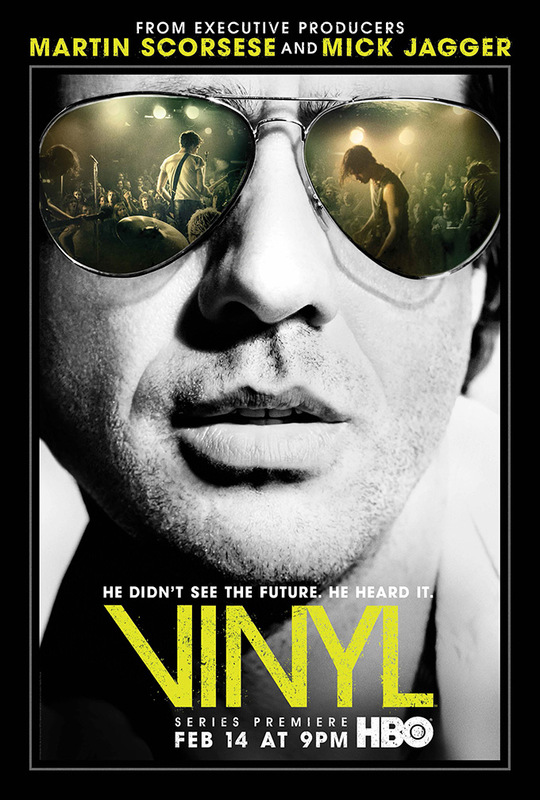 “Vinyl” debuts February 14 on HBO. Check out the poster below.